Welcome to Oak Street Garage! Since setting up our family owned business, we have gone from strength to strength. We have various services to offer from M.O.T’s class 4 & 7 Recovery services, Diagnostics, Tyres and General Repairs. You can even watch your car being repaired from our customer viewing area! Click Here to see what Services we offer! We couldn't be easier to find! Just tap the postcode into your sat nav and it will bring you straight to our doorstep! If you struggle to find us then please give us a shout! Our phone number is over on the contact page. "Roger at oak street garage keeps my vehicles on the road without fuss servicing, maintaining and repairing my cars, 7.5Ton truck and my vintage classic French Vans. Nothing is too much trouble a genuine friendly service." 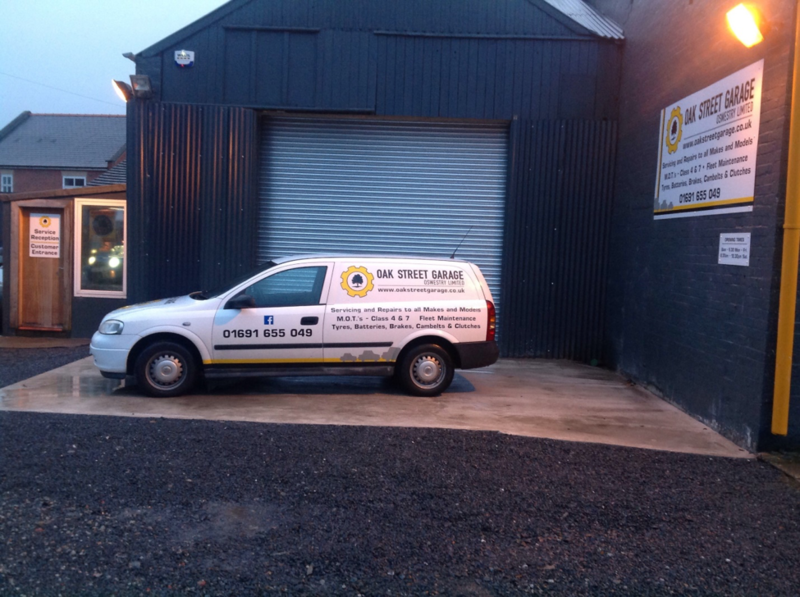 "A great service from Roger at Oak Street garage keeping my fleet of vehicles on the road."